Are you confused when you walk in the supermarket or health food store? Do you have questions about specific foods, brands, supplements, etc.? Are you trying to go vegetarian, organic, gluten-free, etc.? 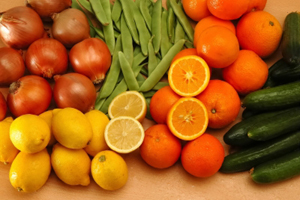 Do you want to know how to shop for healthy food? 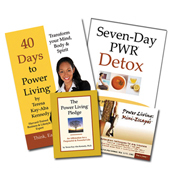 The Power Living “Healthy Jumpstart Shopping Tour” will give you the tools you need. Dr. Terri Kennedy will personally guide you through a supermarket step-by-step with a focus on healthy food, vitamins and “green” personal care and household products. Understand how to shop strategically for peak energy, minimal toxins and optimum health. Ask questions as Dr. Kennedy guides you through what works for your goals. The two-hour tour can include up to two people so bring a friend. It also makes a great gift! A two-hour personalized supermarket tour for up to two people. An initial assessment of current diet and food habits. A debrief mini-coaching session at the end to determine next steps. Discount on on-going individual or group coaching. If you are ready to make YOU a priority, then get started today! The cost of the program for two people is $495. If you have questions before you sign up, then schedule a free consultative interview. Download the Power Living Coaching Intake Form, fill it out and fax it back to 212-901-6913 or email it to coaching@power-living.com. We will then contact you via email to schedule a Consultative Interview. It is usually 30 minutes by telephone. This allows you to ask questions about the coaching process. Remember – all of our coaching services are tailored to your individual needs. Review an overview of our Coaching Services and Coaching FAQs. Read more about your master guide, Dr. Terri Kennedy.